James Burden Ltd is a market leader in the wholesale and distribution of quality poultry, meat and game, along with associated provisions and delicatessen products. James Burden Limited has been trading from London’s famous Smithfield Market for more than 40 years and has developed into a world-class wholesale supplier. Throughout that time the company has focused on its founding principles of honesty, integrity and reliability. Based at London’s famous Smithfield Market, the company has grown to have five trading outlets selling to everyone from casual shoppers to the largest catering butchers. Bulk meat and poultry businesses also operate from Newcastle and Kent, supplying direct to food processors and larger catering customers. Known for reliability and quality thanks to our team of highly-trained traders the company works closely with customers and suppliers in the UK and internationally to ensure continuity and consistency of delivery regardless of market fluctuations. James Burden offers the full range of top quality meats, including those with specific preparation requirements such as Halal and Kosher. 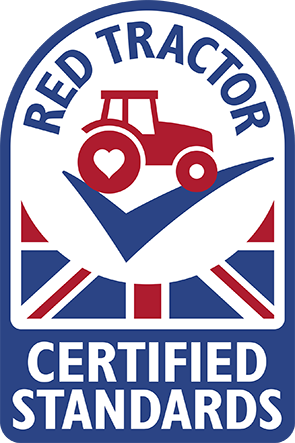 All products are guaranteed 100% traceable from farm to fork in compliance with HACCP, FSA and CMI legislation. The best possible products and service means that James Burden is a name you can trust.